Marc Marquez's pace on Monday was good for the top of the sheets, followed by Iannone and Rabat. 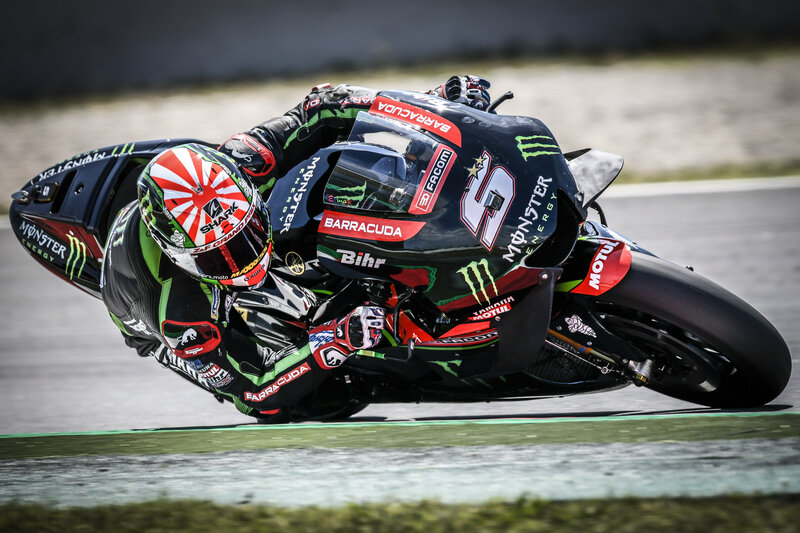 Honda's Marc Marquez earned the top spot at Monday's MotoGP test at the Circuit de Catalunya, albeit his performance came a day late after finishing second place to the Ducati of Jorge Lorenzo at Sunday's race. The closed-door test at the famous Spanish circuit didn't see the presence of media or fans, as the majority of the teams kept their pit garage doors shut for most of the day, only opening them to allow their riders to ride in and out of their boxes. 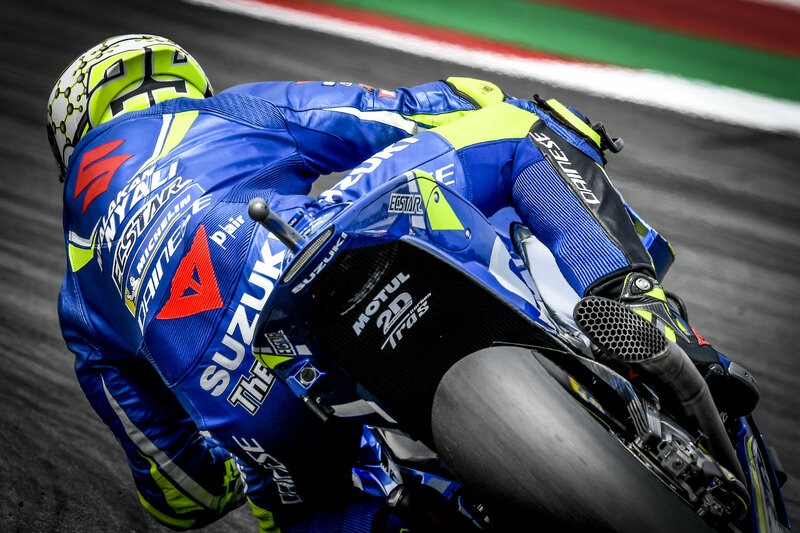 While the official reason for the test was testing a new Michelin tire, teams and riders used it as an opportunity to experiment with new body kits, suspension, and electronics. Marquez wrapped-up the day with nearly 90 laps, clenching the best lap time at the end of the day, dethroning the Suzuki of Andrea Iannone by a tenth of a second. Marquez rode a blacked-out motorcycle that featured several new aero features along with the new compound tire. His teammate Dani Pedrosa logged nearly 80 laps despite crashing out during the morning and finished the day in seventh place. Real Avintia Racing's Tino Rabat piloted his Ducati to third place after putting in a solid 80 laps, lapping only four-tenths off of Marquez's best time. According to the team, Rabat focused on suspension work for the majority of the day and showed a faster pace than he did on Sunday. Fellow independent Ducati rider and soon-to-be factory Ducati rider Danilo Petrucci put in 40 laps and finished right behind Rabat, claiming the fifth fastest time of the day. The factory Ducati team did not partake in the test. 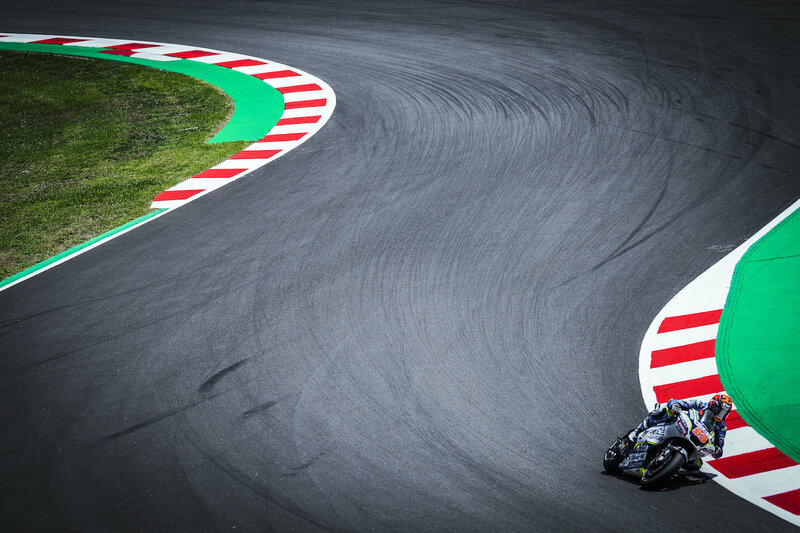 MotoGP now heads to the TT Circuit Assen in the Netherlands, where Marquez will attempt to defend his championship lead from a hard-charging Jorge Lorenzo. The race would take place at a brand new facility developed by Brazilian promoter Rio Motorsports.